Thomas and Regina had both of their sons and one of their daughters still living at home. Owen, 24, and Clarence, 22, were both working 40 hours a week at the match factory. Wava, 21, was working 36 hours a week as a housekeeper in a private home. Although their parents had not, all three siblings had completed four years of high school. It was fun to find all these members of the family. In later years there would be changes: moves to other states, more grandchildren, new jobs. However, in 1940, although four of the daughters were married, they all still lived fairly close to each other and, according to family stories, visited each other often. 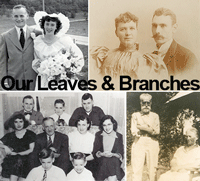 Sepia Saturday celebrates history & genealogy through photographs. 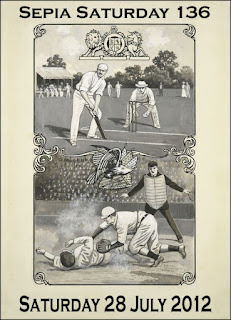 This week's Sepia Saturday centers on sports because of the Olympics in London. 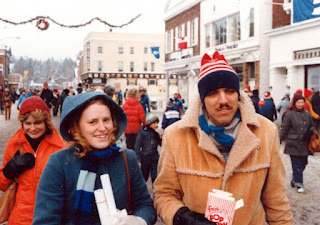 This is a photo of my husband and myself at the 1980 Olympics in Lake Placid, New York. The streets were full of people at all hours of the day. We could walk down the street and see the outdoor speed skating rink as we passed. We saw graceful ice dancing. We saw a hockey game but not the famous games when the American team beat the Russians or when they won the gold. Mostly I remember the amazing cold weather and the high level of patriotic pride in all our athletes. Go to Sepia Saturday for more photos. From the pages on County Cork in the June issue, I wandered through pages on the Irish DNA mapping project and the 2013 Gathering plans. 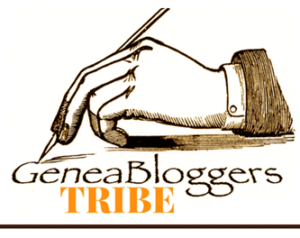 Kevin McCormack shares research tips and links to terrific web sites, including his own Irish research blog and the Irish Lives Remembered site [Besides the magazine this site includes genealogy links, a list of genealogists, heir search and forums.]. 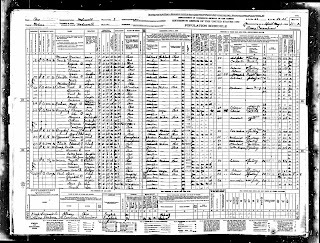 Read about Annie Moore, the first immigrant to be processed through Ellis Island. A statue to Annie stands in Cobh Harbour. Learn about the Historic Graves Project, working to protect, record and share information carved into the ancient tombstones and Celtic crosses across Ireland. Pages showing Cork Books & Genealogy Books make me itch to order new research materials. The July issue includes articles on Irish work houses, one name studies and Irish convicts in Australia. 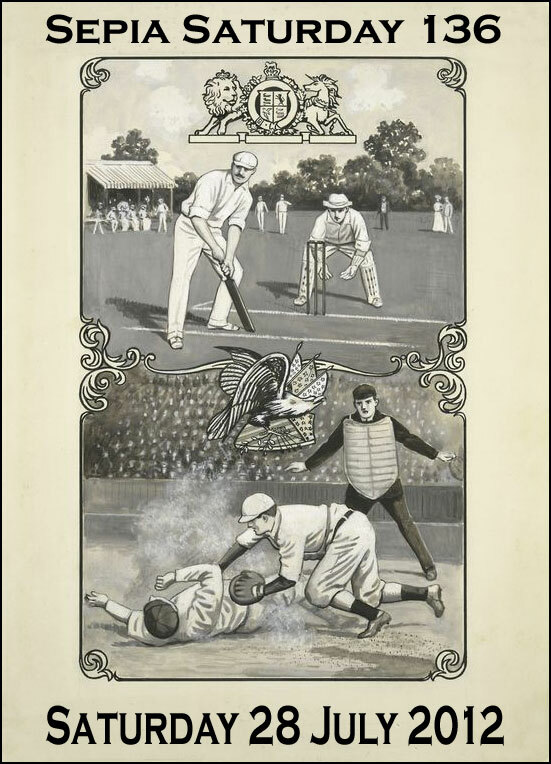 I found this online magazine to be entertaining and educational. Get that cup of tea ready and explore it for yourself. Pasquale is the surname of my husband and his father. Somewhere before that the family was Pascale. 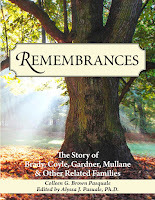 Family stories vary as to when and where it was changed. The most popular story involves the usual Ellis Island change. 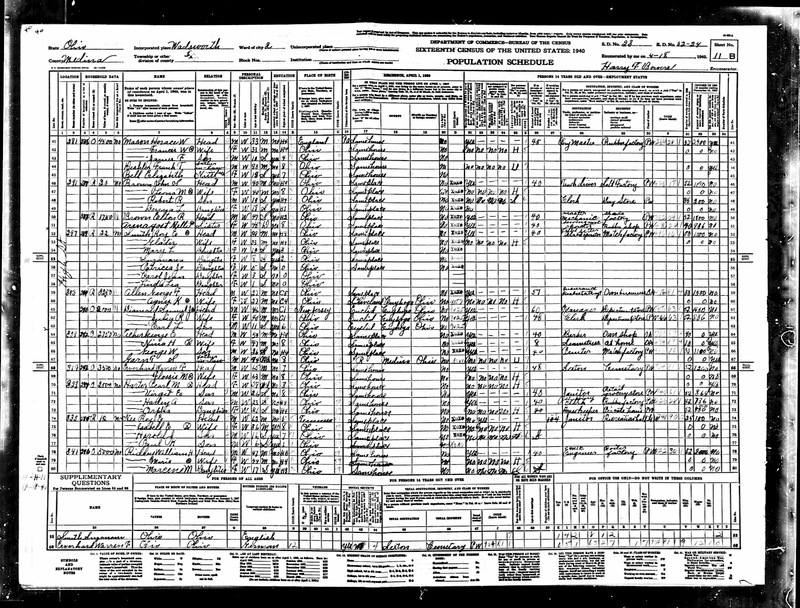 However, I recently found the family in the 1940 US Census, New York State, Westchester County, Somers. I looked for the Pasquale family and found the Pascale family. 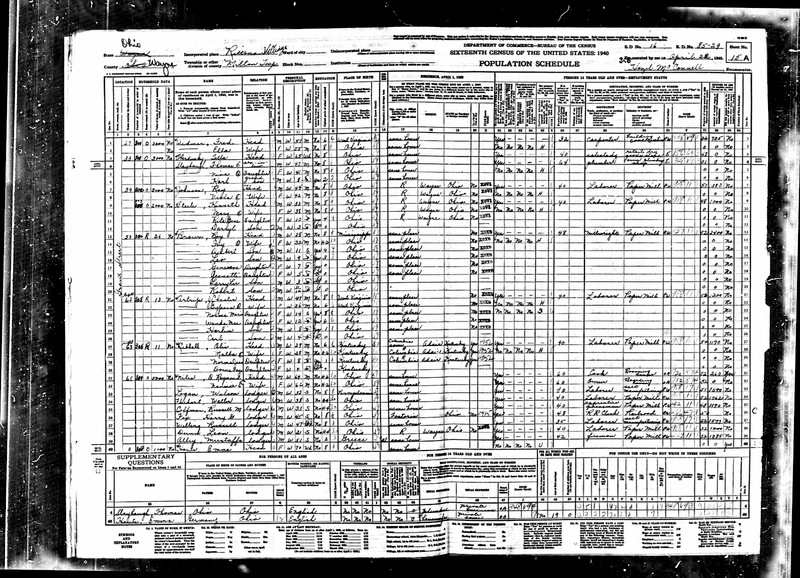 Interestingly, the 1920 & 1930 Census reports list their name as Pasquale. Frank Pascale, my husband’s grandfather, a naturalized citizen from Italy, was a farm manager. He paid $30 a month for rent and earned an income of $1,200. His wife, also born in Italy, was Jennie Pascale. Their four children were all born in New York State. Augustine, 19, was a farm helper. Thomas, 17; Grace, 15; and Carmella, 7, were all attending school. With the exception of Frank, I knew all these people and they were all Pasquales. This is another research project for a rainy day. 15 July 1841 Jeremiah Smith [son of Jeremiah Smith & Joanna Dillon]& Pemecia. They had three children. 17 July 1944 Thomas James Coyle [son of James Joseph Coyle & Madeline Herbst] & Roseanne S. Vozella [daughter of Charles Vozella & Lucia Feriolla]. They were married in CT. They had five children. 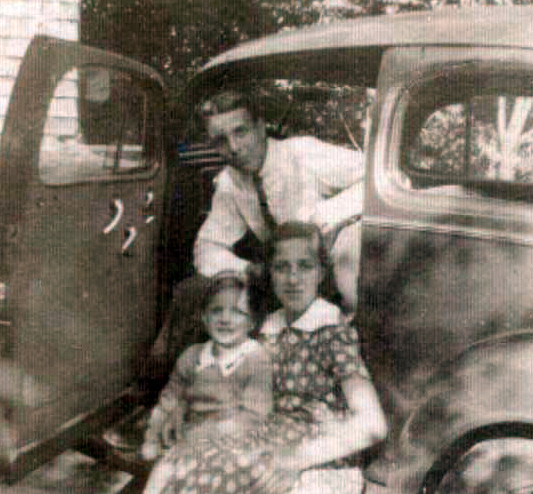 19 July 1941 Henry Lattimore Lea & Irma Ruby Blades [daughter of Eli E Baldes & Annie C Cutrer]. They were married in Louisiana. Irma was married twice. 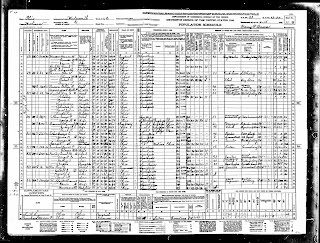 22 July 1936 Harold Edward Good [son of Albert E Good & Elizabeth L Moore]& Velma Ellen Hale. They had a son and a daughter. 30 July 1882 Peter Jonathan Moore & Caroline Louise Gruissy [daughter of Augustus C Gruissy & MaryAnn Everett]. They were married in Ohio. They had six children. Peter was a farmer and a mason. 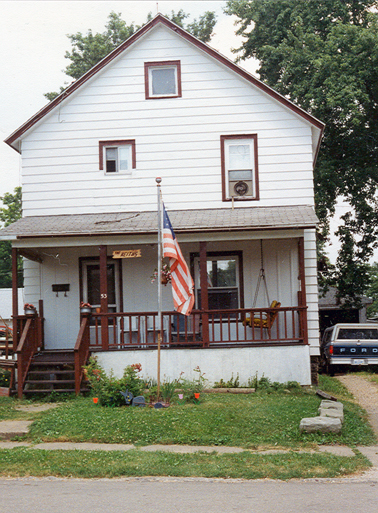 The Roy Brown family moved from Ohio to New York State about 1940. 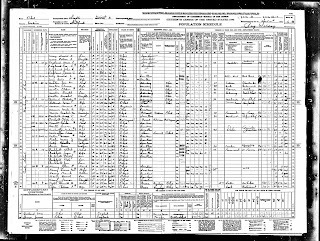 In April 1940, however, they were still in Ohio when the census taker came around to count heads. They were living at 53 Grant Street in Rittman, Wayne County, Ohio. Thirty eight year old Roy was a millwright in a paper mill, working 48 hours a week and earning an income of $2,400. His wife, Ivy, only thirty two years old already had six children. Roy’s education went as far as eighth grade but Ivy had completed two years of high school. Their children would all complete high school and some would graduate from college. 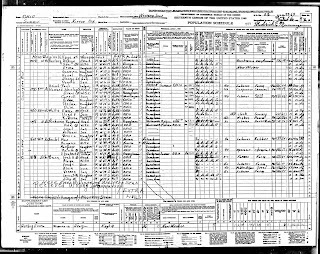 In 1940 their children were: Delbert, 11 in fourth grade[my father]; Leo, 9 in third grade; Genevieve, 7; Jeanette, 5; Larry Lee, 3; and Robert 11 months old. 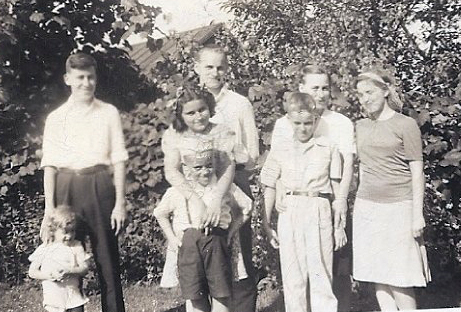 Although Roy was born in Mississippi, Ivy and all these children were born in Ohio. 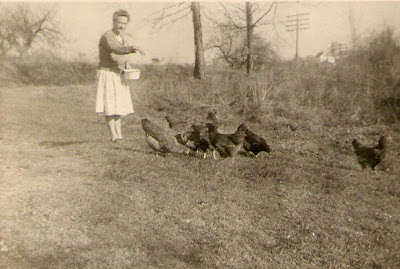 Most of this information, besides details on work hours, income and the education of my grandparents is not new to me. I file this as a source to confirm information I have already gathered. 1 July 1939 Tom Sanfillipo & Antoinette Brigandi [daughter of Carmen Brigandi & Angels Valenti]. They were married in New Jersey. They had two daughters. 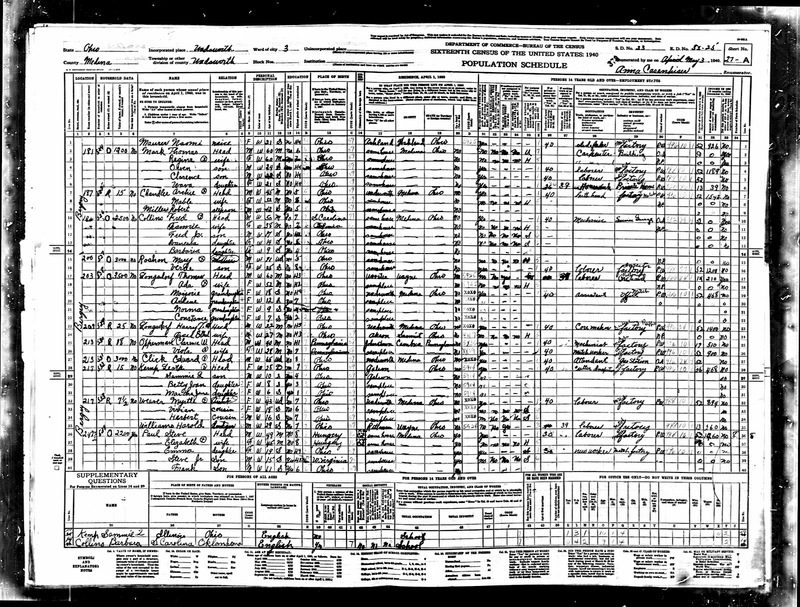 3 July 1889 Albert F. Lutz & Mary Magdalene Gruissy [Augustus Ceaser Gruissy & Mary Ann Everett]. They were married in Ohio. Mary died in 1917 and Albert died in 1935. 3 July 1948 Olen D. Ellis & Dorothy May Hile [daughter of Robert Rugh Hile & Grace Eva Jolliff]. They were married in Kentucky. They had two sons. 3 July 1958 Charles Kay Hutchinson & Edith Rose Ball [daughter of James Alton Ball & Mildred Olga Ball]. They were married in Louisiana. They had three children. 4 July 1936 J. D. Miller & Nellie Louise Cutrer [daughter of Isaac Omer Cutrer & Fannie Rebecca Smith]. 6 July 1948 Harold Jay Nee [son of Roy E nee & Isabell Esther Mark] & Pauline Harriet Beitzel. They were married in Maryland. They had four children, born in Ohio. 9 July 1954 Eli Warren Jr. & Virginia Lynett Mark [daughter of Charles Forest Mark & Bertha Flickinger]. 10 July 1935 Raymond A. Nothstein [son of William D Nothstein & Bessie Andrew] & Viola Cathern Mark [daughter of Thomas K Mark & N. Regina Gruissy]. They were married in Ohio. They had four children. Mary Josephine (Mullane) Coyle died in 1927. After her death her unmarried daughters lived together. 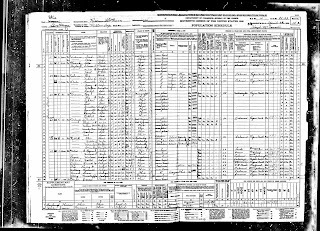 In the 1930 US Census the sisters were living at 2109 Walton Avenue in the Bronx. Marion, 28 [actually 30], was an operator in the telephone company. Marguerite, 25 [actually 28], was a supervisor in the telephone company. Lillian, 18, was a book keeper for a shoe company. Kathleen, 12 [actually 14], was still in school. They paid $40 a month for the rent on their apartment. With the exception of Marion, who married James McCall on 5 April 1931, I expected to see them still living together in 1940. I was correct. 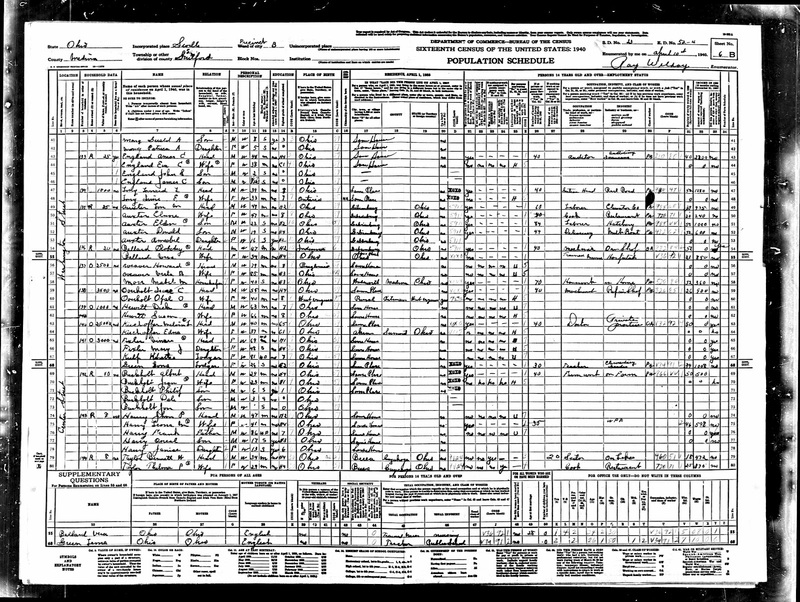 In 1940 US Census the Coyle sisters were living at 3E Burns Street in Queens. Marguerite, 30 [actually 38], was surprisingly unemployed. Therefore, younger sister, Lillian was head of the family. She worked as a “comptometer” for 35 hours a week earning an income of $1,200. 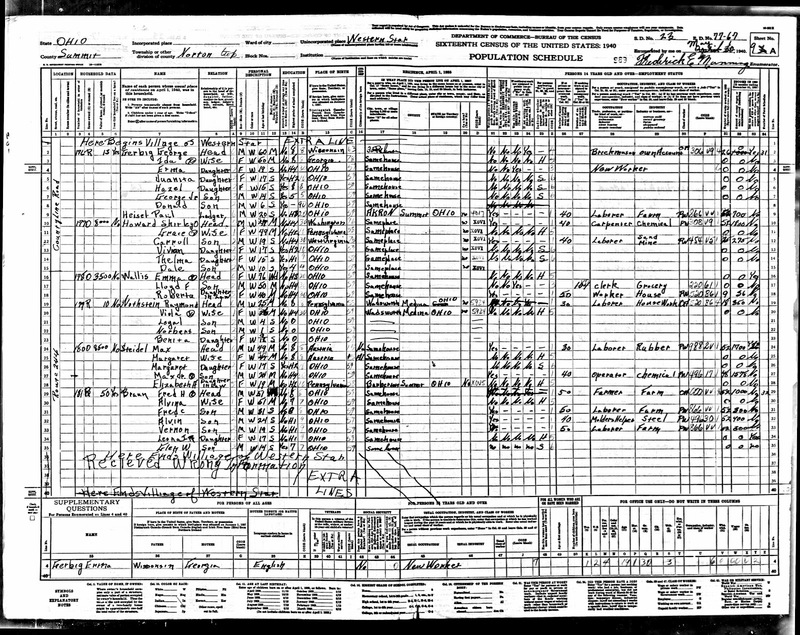 Youngest sister, Kathleen, worked 35 hours a week as a clerk for the telephone company earning an income of $1,200. Rent for their apartment was $62 a month. This a reassuring report, verifying family stories. Details of their jobs and incomes in 1940 are interesting. 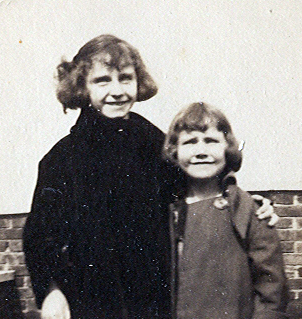 With the exception of a brief marriage for Marguerite these sisters would live together for the rest of their lives, in New York City, Long Island, Florida and Arizona. They were successful career women who traveled the world and lived long lives. They are buried together in Sun City, Arizona.